Star Wax is a French Dj lifestyle magazine. To sum up briefly what they are doing we can say that articles, reviews and interviews are written by mad diggers who have a burning passion for music. So you can guess that each edition is a pure gold mine for music lovers. They edit a strong version of the magazine every three month, 25000 copies are distributed at each issue. They have turned 10 this year and have combined their strengths with Diggers Factory for their 3rd compilation. By combining their strength I mean that StarWax team have digged for you 9 super rare and super cool HipHop/Funk/Oriental musical bombs and Diggers Factory will make sure you get them on wax in a super quality limited edition. Of course, when we start listening to the compilation some questions instantly pop up in our mind. First of all, what was the process you use to choose the tracks you put on the compilation ? did you follow any guideline ? Marcos : It is simple, the only guideline is diversity, quality and ideally finding tracks that have not been edited on a vinyl format. However, actuality takes also a big part in our choosing process of a tracklist. Above the trend which exists right now for oriental music, people with who we collaborate and exchange for the past few months or years also influence our choices. This kind of project help us to concretise exchange with some people that sometimes we haven’t even met in real life. Until the 15th November, amateurs can take part in a contest to remix the second track of the compilation : Perfect world by Doc Strange. The winner will see its remix press on the record. It is not a common thing to offer such an opportunity, what was the idea behind that ? M : We have no marketing background. Don’t try to find any complex reason or strategy behind this contest. The fundamental idea is to create a dynamic between beatmakers and Star Wax. Remixing a track is a pretty common exercise at the moment. There are as many remixing possibilities as there are people on earth. Moreover, it is really cool to have an exclusive version of the track in the tracklist. It is also a good way to help some unknown beatmakers becoming a little more famous. It the basis of our job : discovering and sharing our discoveries. Why did you decide to edit your compilation on wax instead of CDs or digital as most music magazines do ? Boogie fever is a record that worth about 5000 euros on the second hand market at the moment. This process of transforming a record in something like an art collection, which people would buy as an investment and never play is something that happen all the time with rare records. What do you think about this kind of music auction ? M : I am really not into this speculation thing. I have been buying records for 20 years now and each time I sample them or share them with the public or in a private sphere. So I don’t have any record that stay under cover except maybe when I don’t have time to listen to all the promo I get, but it does not last a long time ! What about you spending your life in a plastic bag, would you like it ? Ness : what is really important with the vinyl format is the cover, artists can express a lot more than on a common CD format which makes the final object a lot more attractive. I have been an afro-beat record collector for 10 years, and even if some of my records are very rare, Aleke Kanonu (1000 euros) for example, I keep playing them on my turntable because music is made to be listened and not watched like a static workart. I have a very low estimate for the fetishist record collector type of guy who never listen to his records and don’t take advantage of them. Is repressing some of these rare records a way for you to strike against this phenomenon and give back music to music lovers ? M: I am a passionate and thus I work on a “crush” basis. The pre selection was only made by Ness and me. Then the final selection was made in collaboration with diggers factory staff among more than 30 tracks. However for the previous volumes we were more to beinvolved in the decision process.It was based on a blindly listening and then by the end of each track we voted by show hands under one criterion : would you buy this record only for this track without being influenced by the name of the artist ? (except for the one guy who was proposing the track, it was a first discovery for all of us). In other words : Music first ! It is not rocket science, basic is the must. 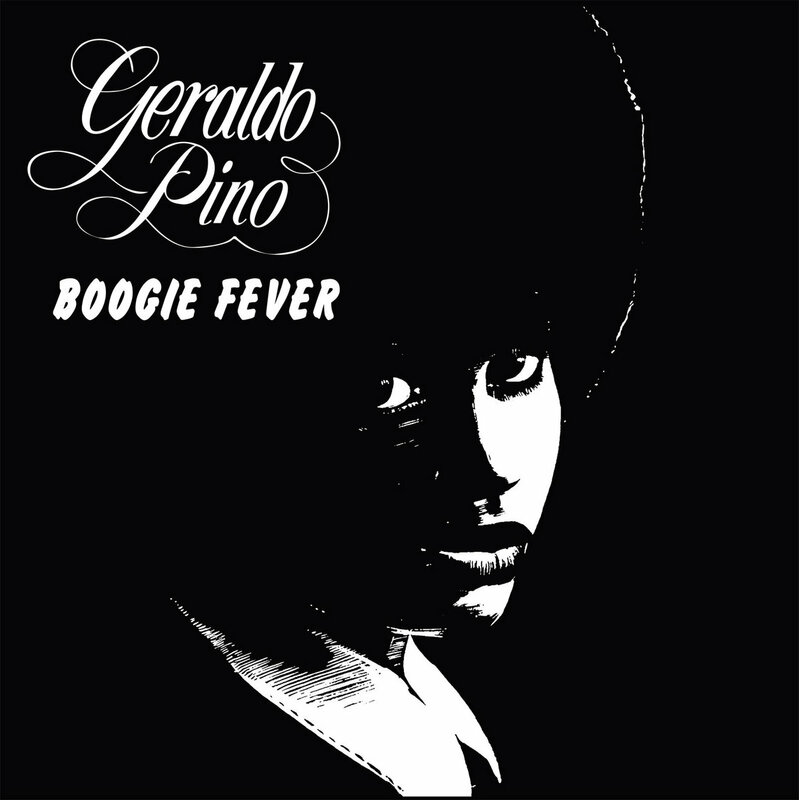 N : Help people to re-discover a very rare record such as “boogie fever” from Geraldo Pino is also kind of a bravery act to highlight African music.